“88 Constellations” has been included in the Electronic LiteratureCollection #2 that is published by the Electronic Literature Organization out of the University of Maryland in Baltimore. This is I believe going to be an online exhibition as well as a published DVD. “88 Constellations for Wittgenstein” was included in the curated exhibition Chico Art Net that is put on by the Electronic Arts Department at the California State University in Chico. 88 Constellations has been included in the Flash & Thunder section of the year long net.art project curated by Wilfried Agricola de Cologne. This project highlights “Flash as a tool & medium for artistic Creations”. The Cinematheque 2010 is a huge compendium of contemporary internet art. 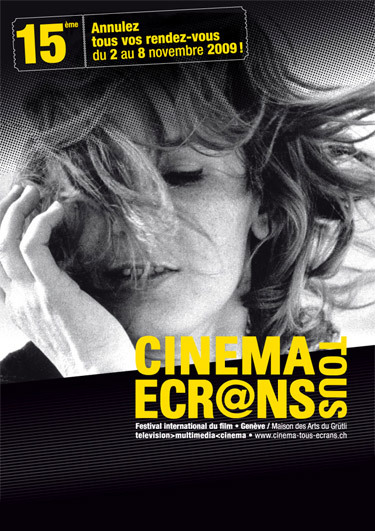 I have a work in the Interactive Multimedia section of the Cinema Tous Ecrans Festival in Geneva, Switzerland again this year. Last year Meanwhile won a prize there and this year 88 Constellations for Wittgenstein has been included in the Fiction Multimédia Interactives section. I was hoping to go this year but it just didn’t fit into the schedule. I’m looking forward to next semester during my sabbatical when I will have more of an opportunity to travel to some of these festivals. I glad of the opportunity to show this work in a festival that also shows television and cinema work. 88 Constellations has been curated by Samuel Bruce in the Electrofringe 09 Online section in Newcastle, Australia. This is part of a larger art event called ‘This is Not Art’. My Uncle Chris, who is from Newcastle, Australia, was recently visiting with my Auntie Mary,…. shortly after Australia lost the Ashes. That gave me a chance to wear my England Cricket sweater! Sorry Australians. There was a notice in The Coast this week about 88 Constellations. A notice of a talk I’m giving through The Centre for Art Tapes in Halifax in a couple weeks. 88 Constellations was included in an exhibition as part of the Pixilerations 09 Festival in Providence Rhode Island that opened Thursday, September 24. The piece can be seen at the 5 Traverse Gallery. I just got back from Split, Croatia where I talked on a panel about Online Video Narratives at the Video Vortex 4, a conference organized by the Institute for Networked Culture. The conference was a packed series of papers and presentations revolving around video and the internet. It as organized by Dan Oki from Split. The dicussions and the papers were excellent and wide ranging. There were also screenings of work related to how the internet is shaping current video production. The speakers included: Perry Bard, Natalie Bookchin, Maarten Brinkerink, Vito Campanelli, David Clark, Dagan Cohen, Cym and the Aethernauts, Alejandro Duque, Albert Figurt, Stefan Heidenreich, Jasmina Kallay, Sarah Késsene, Lev Manovich, Dalibor Martinis, Gabriel Menotti, Ana Peraica, Valentina Rao, Shelly Silver, Jan Simons, Amir Soltani, Antanas Stancius, Evelin Stermitz, David Teh, Vera Tollmann, Andreas Treske, Saša Vojković, Nenad Vukušić Sebastijan, Linda Wallace, Paul Wiersbinski, Kuros Yalpani, Emile Zile. I talked about ‘88 Constellations’, ‘Meanwhile’, and ‘A is for Apple’ as examples of my approach to narrative as informed by the search engine and random features of internet technology. After the festival Dan Oki organized a boat trip to the islands off the coast of Split which was fantastic! We swam, ate, drank, and wandered around ancient towns in the islands off the coast of Croatia.